Seemingly minor mistakes can have costly and unexpected consequences. Wills are subject to very specific rules and legal principles, which are not always what you would expect. For example, a recent case in which our firm was involved dealt with a Will prepared by a woman using a “Will Kit”. She left everything she owned to her husband and wrote that if he died before her, “none of my relatives or my husband’s relatives are to receive anything” and everything was to be given to a named family friend. The problem was that the family friend also died before the woman. In this circumstance, you may think – as likely she did – that the money would simply go to the Estate of the family friend. After all, she clearly wanted him to have the money and most certainly did not want her relatives to receive it. However, that is not the law in Ontario. Because the named friend was already dead, the gift to him is deemed to have not been made at all. The woman died with a Will that did not make any effective gifts of her estate and was therefore deemed to have died without a Will. The result? Her entire estate was required to be divided among her relatives as directed by the Succession Law Reform Act – a result that she clearly did not want! Had her Will been properly prepared by a lawyer, this sad result could have been avoided. 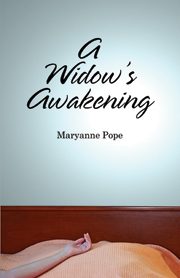 , the author of Managing Alone and founder of widowed.ca. We are here to help and answer any questions you have. Should you need a connection to a professional in your area we would be happy to make the introduction for you to someone you can trust. Contact Us today.